Some growers may not realise what is meant by a Pure Colour cymbidium. 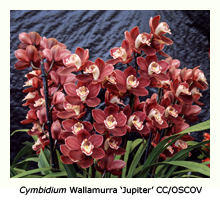 The usual definition is that the flower should contain no red pigment, either on the lip or on the other segments. 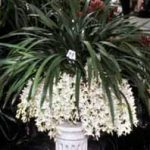 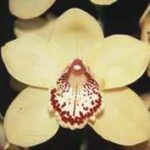 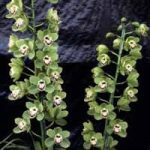 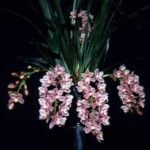 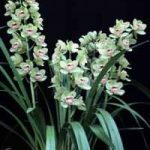 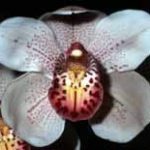 The petals and sepals of a pure colour cymbidium may be white, cream, yellow or green, the important distinction being that they contain no red pigment on their lips or elsewhere. 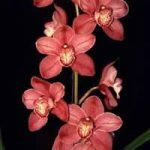 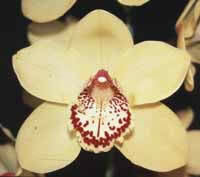 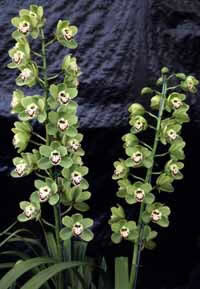 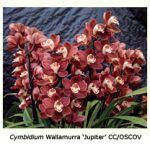 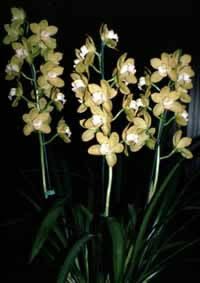 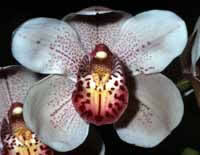 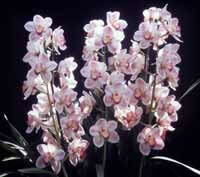 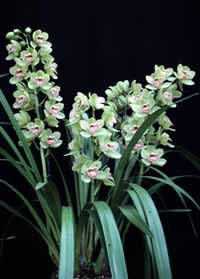 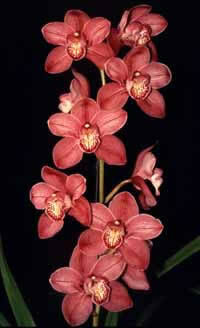 Some cymbidiums have flowers with faint pink or orange lip markings. 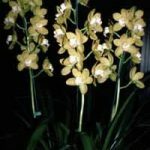 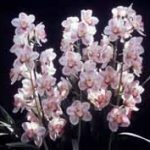 To ensure that these orchids are not excluded, show schedules often now contain a ‘Pure Colour-Type’ class, rather than a ‘Pure Colour’ class.